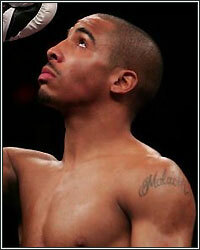 Andre Ward is recognized as one of the most polished talents in boxing today. The American Super Middleweight has made a name for himself after dominating his opposition each of the twenty four times he has stepped into the ring. Although the Super Six Tournament seems to benefit Ward, the slow process of the tournament is not keeping up with Wards dominance in recent times. It was made in order increase competition and expose boxers that have the potential to be ranked among the best. At the time of its announcement, it seemed to be the greatest news that diehard fans have received. For Andre Ward, The tournament granted him the opportunity to rise to the top of the boxing world. At the very beginning of the contest, most "experts" predicted that fighters such as Arthur Abraham and Mikkel Kessler would easily meet in the finals and fight for the thrown of the Super Middleweight division. Andre Ward was barley mentioned as a candidate to prosper in the competition. As we all came to see on November 21, 2009, however, Andre ward made his statement against Mikkel Kessler by beating him in dramatic fashion. The scorecards were not even close as Ward won the fight by TKO in the 11th round. This was the beginning of Ward's rise towards the top, despite the fact that many did not give him much of a chance to get past Kessler in the first battle of the tournament. The Super Six Tournament seemed to be living up to the hype and moving along at a steady pace, but as time went on, unfortunate events began to unravel and the competition began to slow down and lose its appeal. For example, Jermain Taylor and Andre Dirrell dropped out of the tournament due to concussions. Following that, there was a struggle to find credible opponents to replace them in the tournament. This is where the Super Six lost much of its momentum. Eventually, Allen Green and Glen Johnson stepped in for Taylor and Dirrell. Although Johnson appears as though he was a suitable replacement, Green proved to be no match for Andre Ward. Most recently, Andre Ward defeated Arthur Abraham in spectacular fashion, which helped him claim the top spot of the division. Abraham was clearly outboxed and outsmarted, proving to be too one-dimensional for a technical boxer of Ward's caliber. The victory over Abraham showed just how versatile, fast and smart Andre Ward really is. So where does this leave Ward? Thus far, it has been obvious that the competition in the Super Six has not been able to keep up with star it has created in Andre "SOG" Ward. In retrospect, Ward may have chosen not to join the Super Six, knowing that other fights were still obtainable, like matchups with Lucian Bute, Robert Stieglitz, or a move up in weight to face Bernard Hopkins, Jean Pascal or even Chad Dawson. I, for one, would hope that he gets his credit for beating whoever it was that was put in front of him. He should be recognized as one the most talented fighters in the sport today. In the end, I can tell you one thing...as soon as this tournament ends, all legitiment fighters from 168-175 better watch their backs because Andre ward is coming for them.